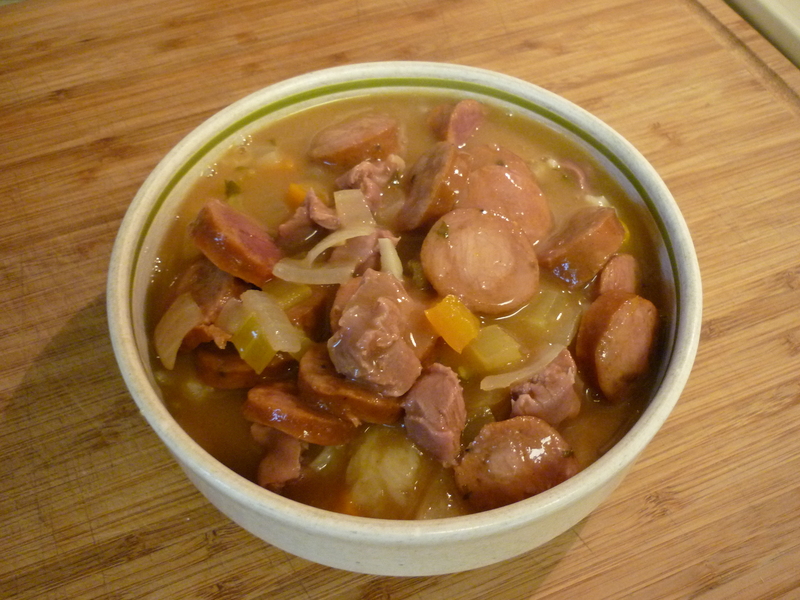 This recipe is based on one from Justin Wilson, a Cajun cook who used to appear on TV. It’s simple and very rich. This is a dish I don’t serve to guests. 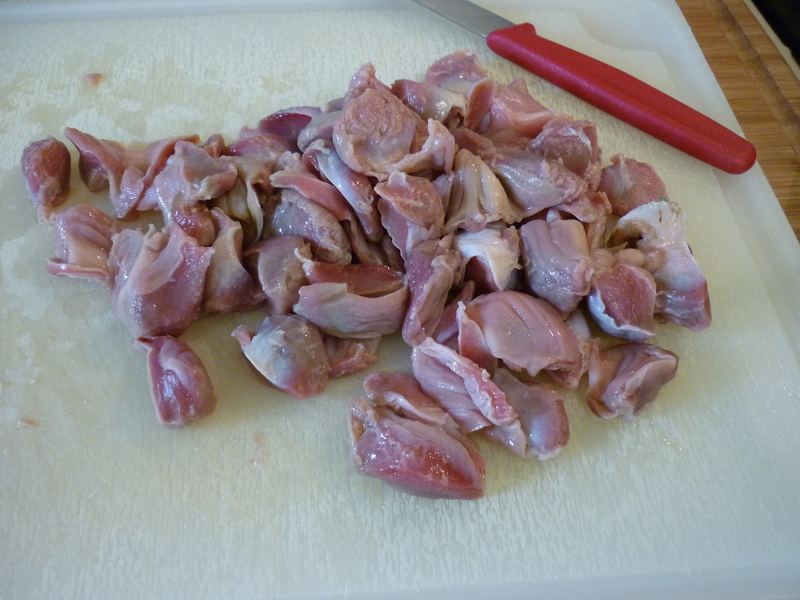 Most people don’t really know gizzards and it seems like a dirty trick to invite someone to dinner and then serve them food they may not want to venture. The idea of having guests is to serve, not force your own ideas of great food. Imagine my surprise tonight to wander upstairs to the kitchen for a second helping and find my daughter and her new friend slurping down the gizzard gumbo. I didn’t even know anyone was here. I may have to rethink my position on the whole gizzards and guests idea. 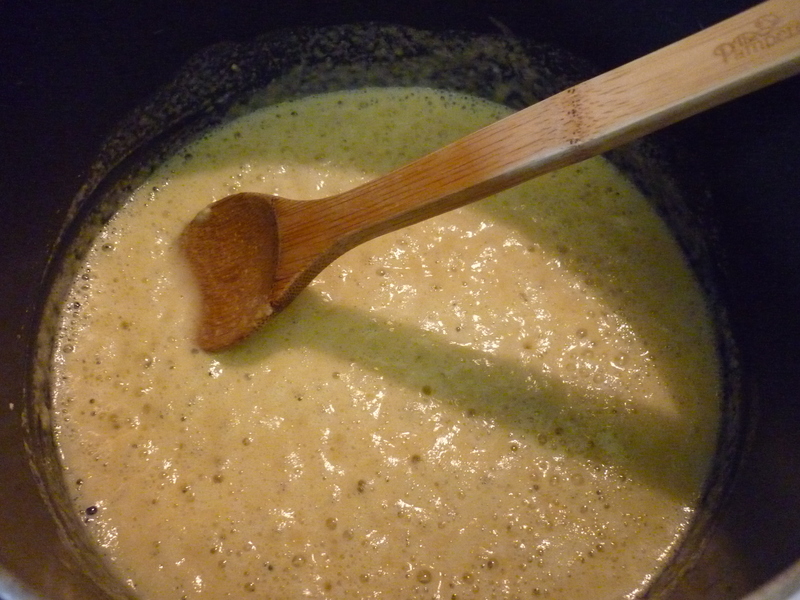 Start by making a roux of 10 Tbsp. butter, melted and 10 Tbsp. flour, stirred into the butter. 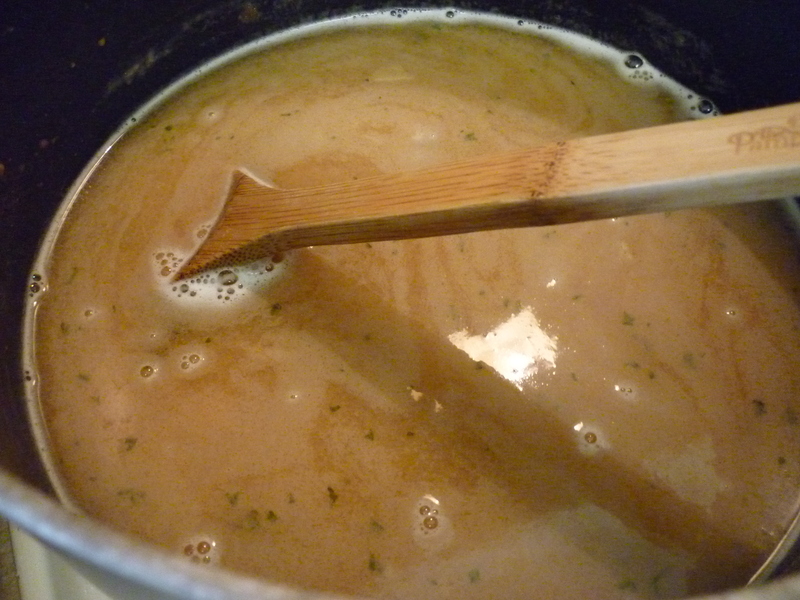 Roux is the basis for many sauces. Butter provides a way to disburse flour as a thickener into a liquid so that it’s not lumpy. 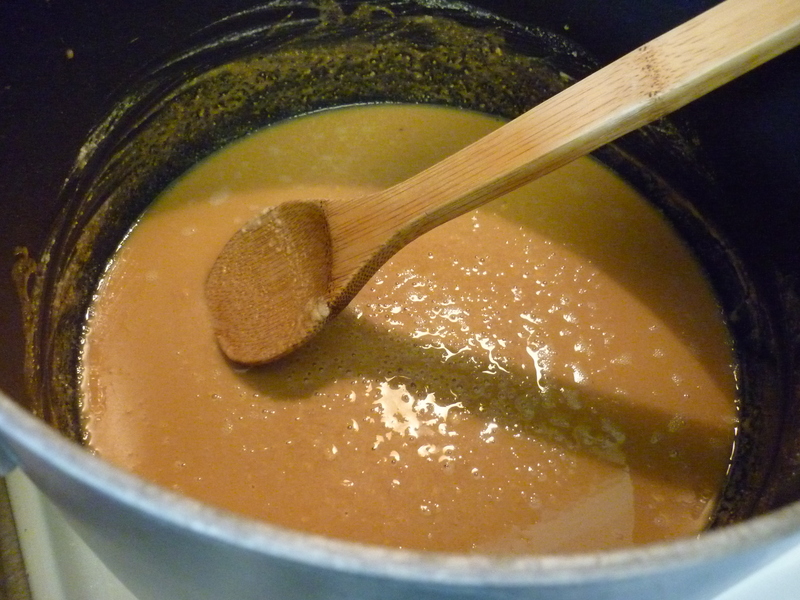 Simmer the roux over low heat, stirring very frequently, until it is a rich brown color. 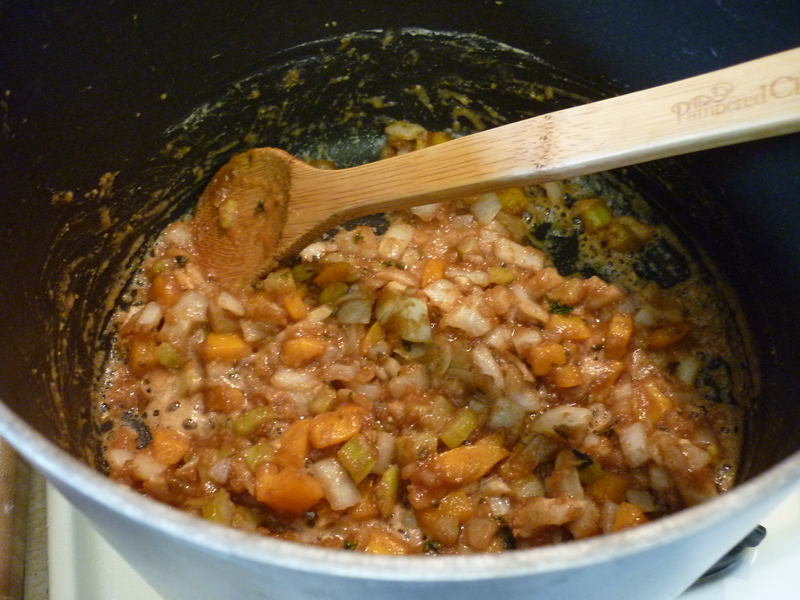 Add 1 cup chopped onion, 1/2 cup chopped bell pepper, 1/2 cup chopped celery, 2 cloves minced garlic, 1/4 cup chopped parsley. 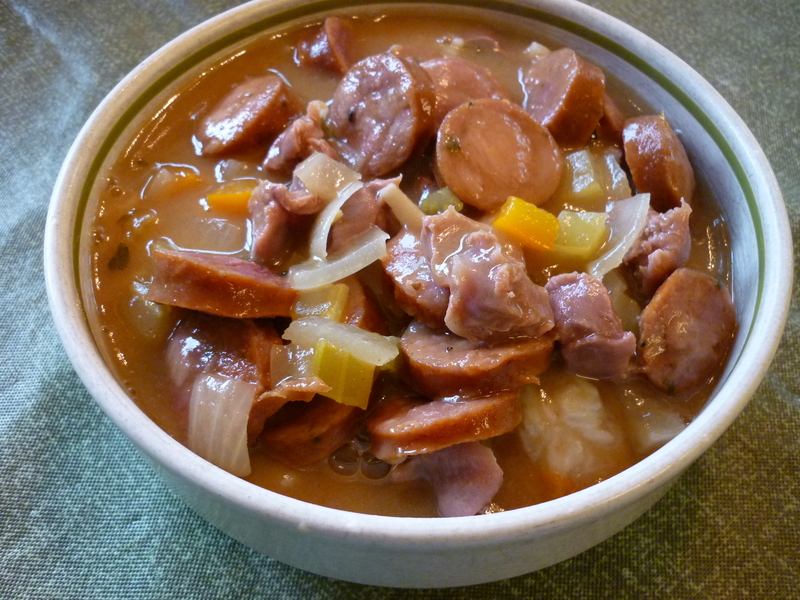 In Cajun cooking they call the onion, pepper, and celery combination the holy trinity. 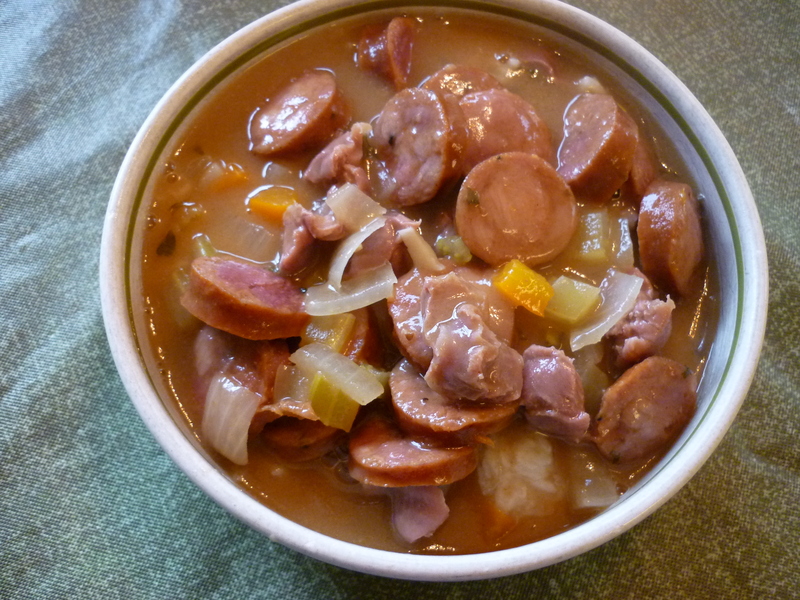 It’s the Cajun version of mirepoix. Let it saute for a while. Remove from heat. Stir in 1 cup cold water and 2 cups white wine. Place back over heat and add 2 cups water. Stir well. 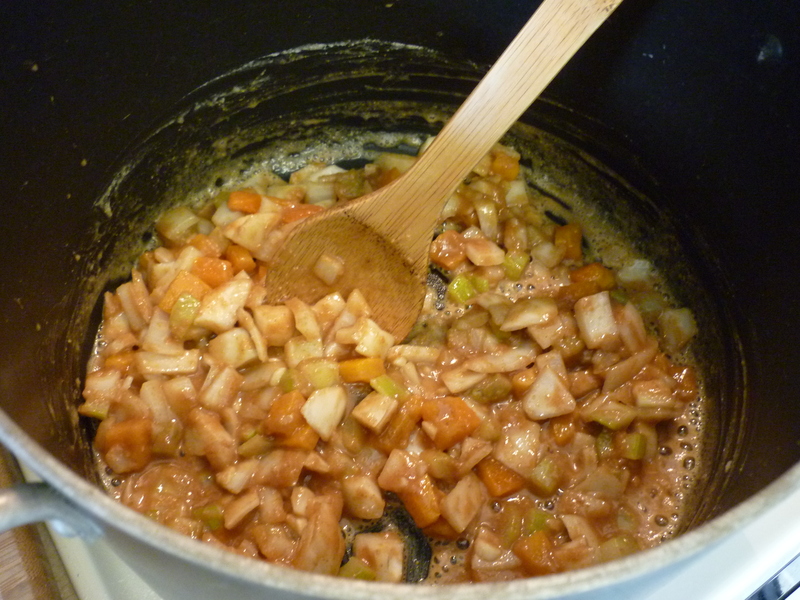 Add 1 cup chopped chicken gizzards. 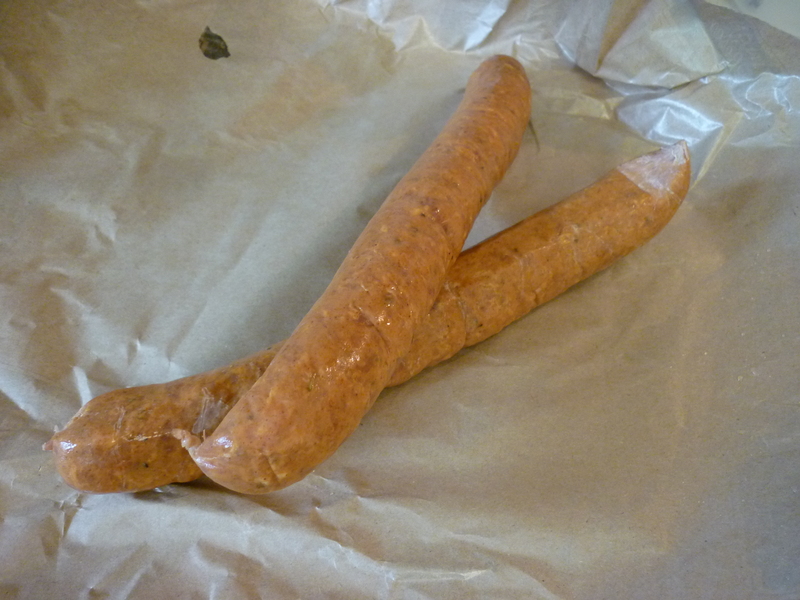 Try to get your hands on real Anduille sausage (a Louisiana spicy link sausage). Add 1 lb. 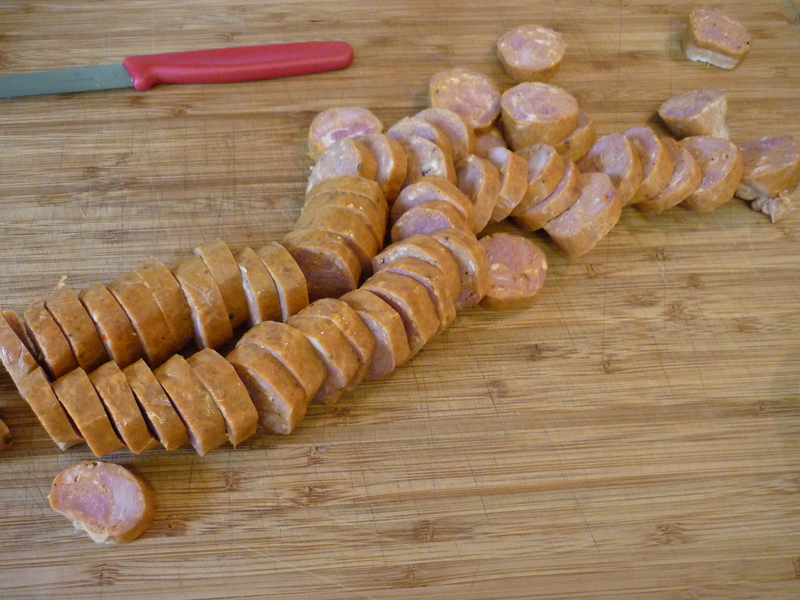 sliced Anduille. Stir in 1 tsp. hot sauce (like Tabasco) and 2 Tbsp. Worchestershire sauce. Add about a tsp of salt. Let simmer, uncovered, for about an hour. Check the salt before serving. 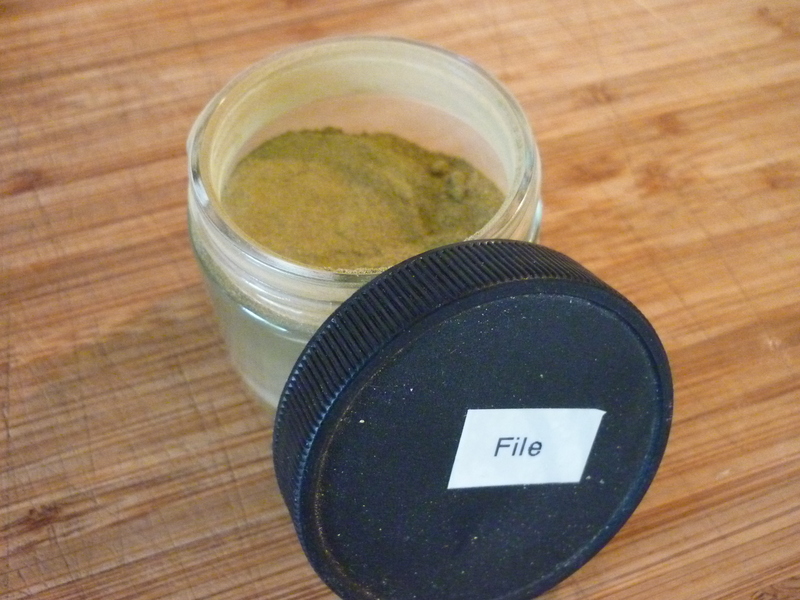 File powder is ground sassafras. This is not a necessary component to the dish, but it surely makes it authentic. 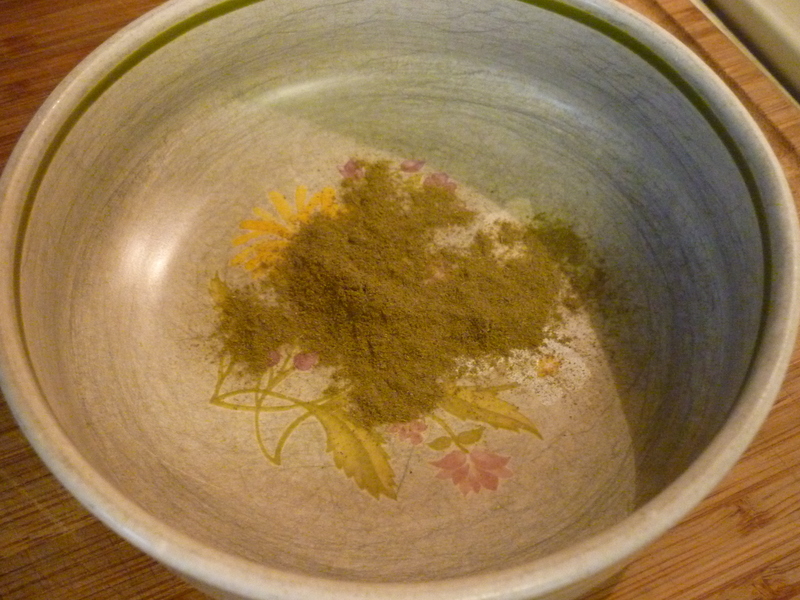 Sprinkle file powder in the bottom of your bowl. Add some rice to your bowl. I love jasmine rice and use it for everything. 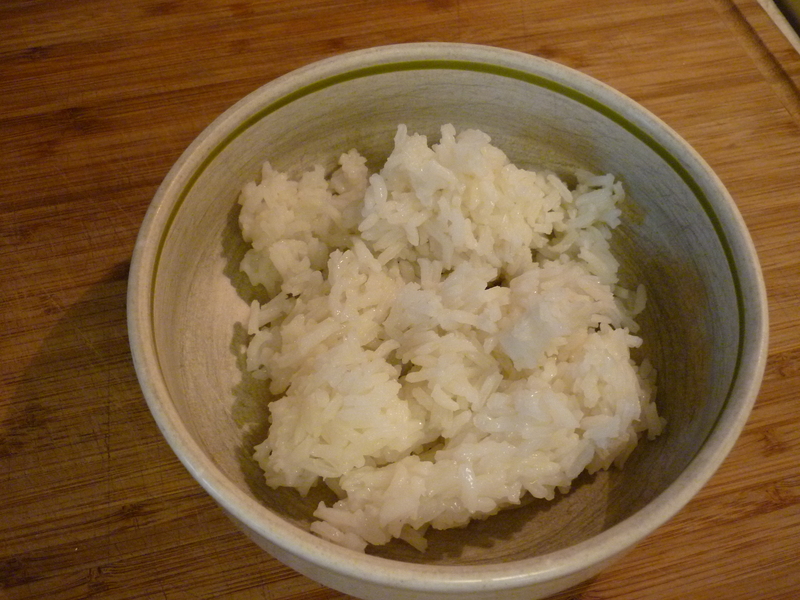 Regular white rice is fine. 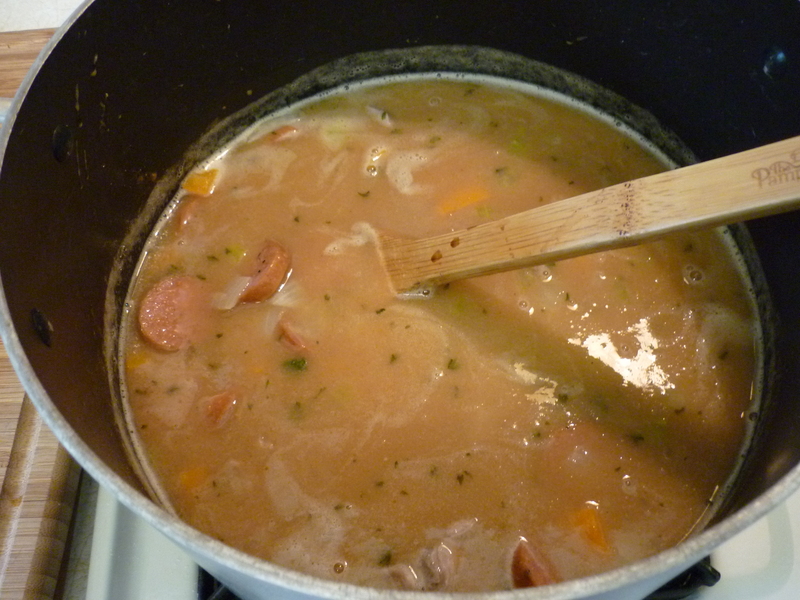 Spoon the gumbo over the rice and stir to mix everything together in your bowl. Enjoy. Looks delicious. Must make this dish.